What questions should I ask the property manager? Having trouble figuring out what to ask when renting a house? There are potentially hundreds of good questions you should ask, but some of your foremost concerns should be whether the rent prices, utilities, security deposit, and move-in fees match what was listed online. Pricing can be one of the most misunderstood aspects of renting and is often sensitive to change, so it’s imperative that you fully understand your financial obligations before signing a lease. Once you have a firm grip on the financial aspects of your rental, there a few more crucial questions you should be asking next. Every listing will have different characteristics as it pertains to move-in dates, application and administration fees, use policies, and much more. Check out the list below, where we’ve compiled some of the more important and relevant questions that all renters(especially those first-timers) should be asking. Are there early terminations, and if so, what are the fees? What’s the process to seek maintenance and repairs? How old are the appliances and when were they installed? What’s sort of furniture or amenities are included? Is the area, or neighborhood, safe? Certainly, that list is a lot to remember. And it would be ridiculous if you didn’t seek out professional help when searching for something like homes for rent in Greensboro, NC. Outside of large apartment complexes, most online listings are handled by an independent property manager or landlord. Ideally, they’ll help answer those questions above before you can even think to ask them. But, how do you know whether or not you’ve picked a good one? We’ll help you answer that too! The entire point in finding a property manager is to have a guiding hand in the purchasing process. You can’t ask questions if you don’t know what to look for. Oftentimes a good manager will point you in the right direction, but make sure you come armed with your own questions too! A combination of well-researched questions and the expertise from a solid manager will produce a great experience. 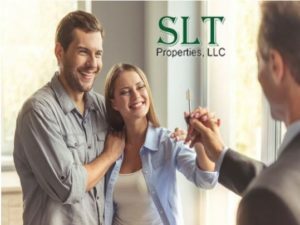 Using SLT Properties, you’ll find exactly what we just laid out for you. Professional property managers with homes for rent in High Point NC, Greensboro NC, and across the regional triad area. We’ve had great success in managing all kinds of property types and matching our client needs with the best possible rental properties. Greensboro NC renters don’t need to look anywhere else!